Day of the Day is just around the corner. I've been busy working on all sort of custom orders and events that I had not made any coqueta skulls to sale. Sorry about that, life and other work just got in the way. 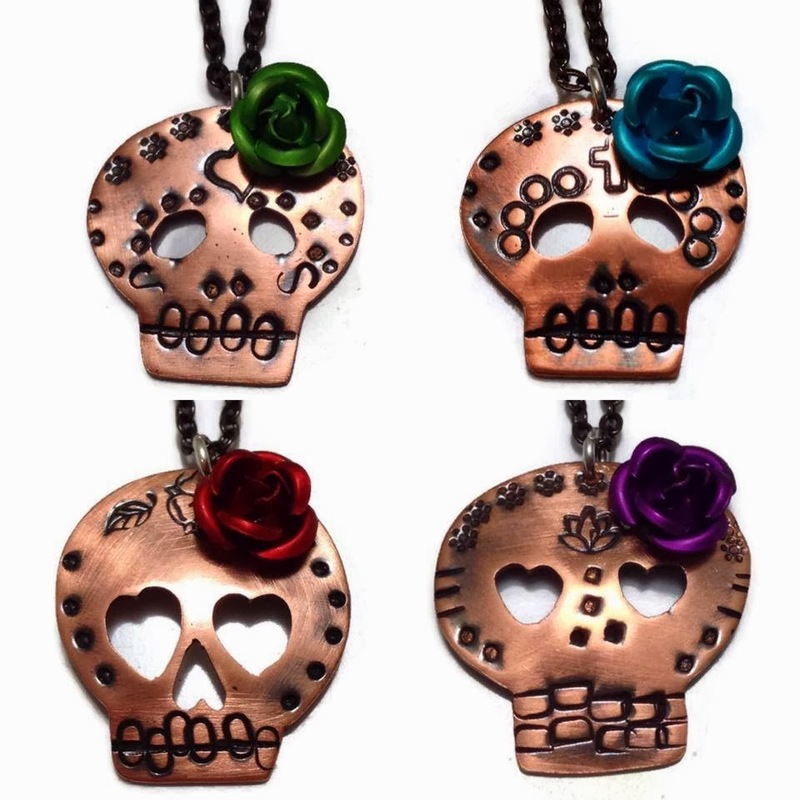 In any case, new pendants are ready to party with you. 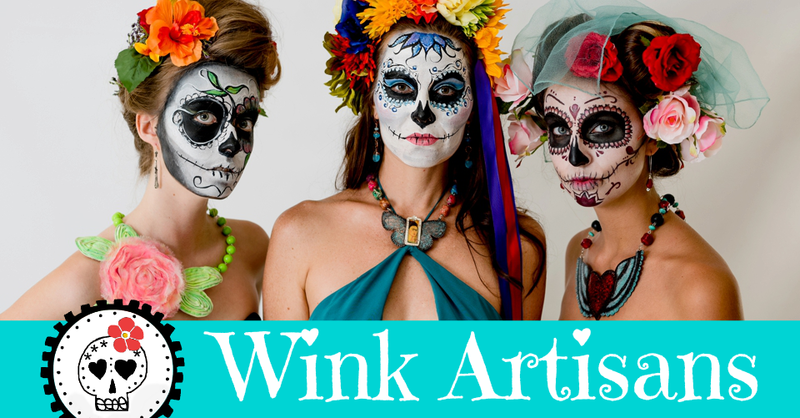 Find them at the Wink Etsy shop. 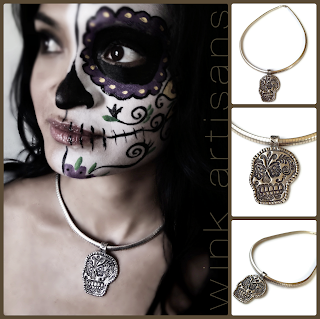 Also available is the stunning, fine silver, sugar skull pendant on a sterling silver omega chain, which we see here modeled by Wink model Karla Martinis. Hurry and snag your calavera and be ready this Dia de los Muertos!